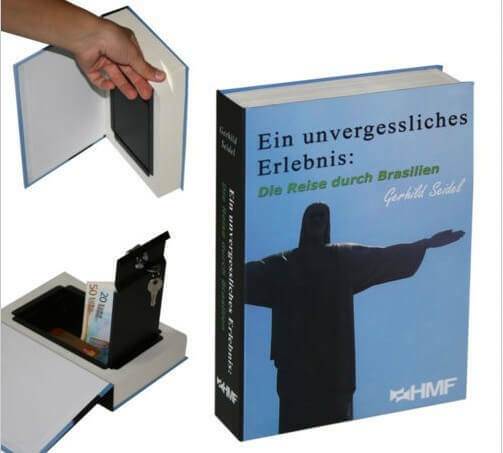 A real thick Book Safe with a hiding place inside to conceal your valuables. Great for storing passports, currency, documents, jewelry, credit cards, keepsakes, account numbers and more. Great for your home, travel bag, office or dorm. Designed to meet your needs our Book Safe is prefect because of its larger size which makes a great hiding place for those larger valuables. The greatest, quality manufactured hollowed out book safe you will ever find! Remember if they can’t find it they can not steal it!